US-Wide and International Veterinary Health and Performance Counsel for the Equine Athlete (email/phone/ in-person). Seminars for Horse-Owners and Horse-Trainers on Preventive Equine Health and Performance. Preventive Care and Pre-Clinical Diagnostics for Nutritional Deficiencies, Toxicities, Digestive Problems and Endocrine Imbalances in Horses. 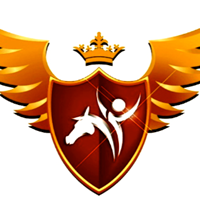 Drug-Free Peak Performance Enhancement for Show - Horses and Race - Horses. Products for Drug-Free Health and Performance Enhancement in Horses. Dr. Gabi Gross offers brilliant insights into not-well understood metabolic equine health. Her custom program--all natural herbs and feed recommendations--immediately helped Aristo (DWB national FEI dressage horse) to gain weight and muscle. He's a much happier and healthier athlete. Thank you, Gabi! Dr. Gross has been an invaluable resource in keeping my horses at optimum performance levels. She has also been able to turn a chronically sick horse around back to health that conventional veterinary medicine could not help. The hair analysis, and her interpretation is like nothing else I have ever experienced. The wealth of knowledge and experience she has is second to none!